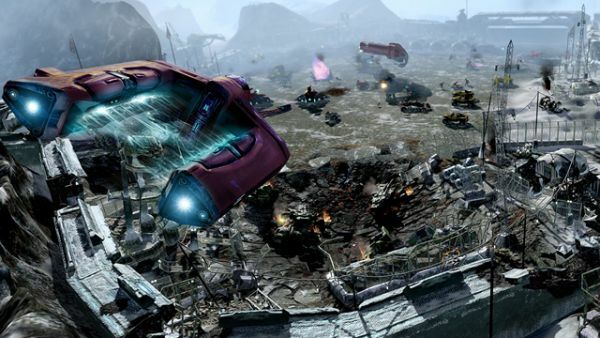 If you and your buddy had a kickass score on Mission Four of Halo Wars's co-op campaign, you can kiss it goodbye. Perhaps it was the only proof that, yes, you can save Ship #3. Now it's forever lost thanks to a technical glitch between the game's servers and Xbox Live. The official Halo Wars website has announced that the leaderboards have been reset to launch day, and they are unsure if the data is recoverable. The Xbox Live team is investigating, but it doesn't sound too hopeful. That third ship may never see flight again. Page created in 0.3637 seconds.